Should Convicted Murderers Get A Second Chance? Posted in Interviews, Video and tagged AJ+, Black Lives Matter, criminal justice reform, Criminal Justice System, dena takruri, Shaka Senghor, violent offenders, Writing My Wrongs on March 9, 2016 by dtakruri. Only two countries in the world have a for-profit bail system, and the U.S. is one of them. Innocent or guilty, if you’re arrested in America, you could face serious financial trouble. Posted in News and Explainers, Video and tagged AJ+, Bail, bail bonds, Criminal Justice System, dena takruri, for profit bail, jail, US prison on January 20, 2016 by dtakruri. Why Is Baltimore So Angry? The cameras of the world are focused on Baltimore right now. But the story of Baltimore’s current unrest didn’t start with the death of Freddie Gray. The people of the city have been dealing with a weakened economy, a broken education system and an over-bearing criminal justice system for years. AJ+’s Dena Takruri explains. Posted in Video and tagged #BlackLivesMatter, AJ+, Baltimore, Criminal Justice System, dena takruri, Freddie Gray, Police Brutality, Racism, unemployment on April 30, 2015 by dtakruri. Serial’s popularity has made it the fastest-ever podcast to reach 5 million downloads. Fans have tuned in each week to follow journalist Sarah Koenig’s investigation into Adnan Syed, who was convicted of the 1999 murder of Hae Min Lee in the Baltimore area. 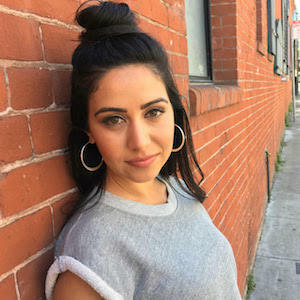 AJ+’s Dena Takruri looks at why the podcast is such a hit and what it tells us about the criminal-justice system. Posted in Video and tagged Adnan Syed, AJ+, Criminal Justice System, dena takruri, Hae Min Lee, Muslim-American, Pakistan, Racism, Sarah Koenig, Serial, Serial Podcast, serial podcast last episode, Woodlawn High School on December 18, 2014 by dtakruri.